Service has been restored to Metro's Red Line just in time for the afternoon rush. 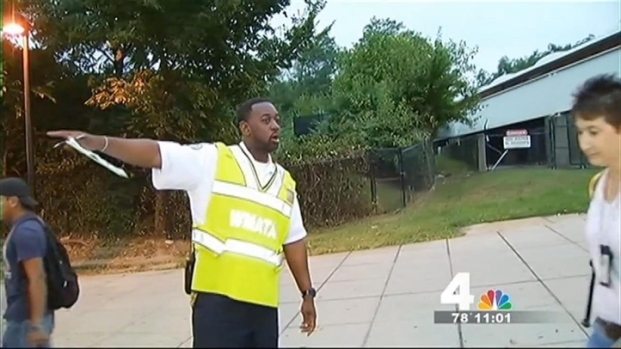 Travel between the Fort Totten and NoMa-Gallaudet stations was suspended for several hours Friday after two cars on an empty train derailed between the Rhode Island Avenue and Brookland stations around midnight Friday. The non-revenue train derailed as it was being moved from the Brentwood Rail Yard to the Greenbelt Rail Yard. The front wheels of one car and the rear wheels of another went off the track, and the train came to a stop near a switch about 100 yards outside the station. No passengers were on the train, and no injuries were reported. Metro riders could be in for a tough commute Friday morning. Several stations on the Red Line are closed due to an overnight derailment. The third rail, signal cables and track components were damaged in the incident. Crews worked for hours to make the repairs and reopened the area just after 1:30 p.m. Friday. More than 40 shuttle buses replaced trains during the morning rush and for much of the day. "You leave home at a certain time knowing the trains is going to run, and you get here and have to take the shuttle," commuter Patricia Vannison said. Metro said the shuttles added, at the most, 15 minutes to riders' commutes, which would usually be eight minutes had the Red Line been running in all areas. But at least one rider said on Twitter that the wait threw a wrench into her commute. Metro riders could be in for a tough commute Friday morning. Several stations on the Red Line are closed due to an overnight derailment. News4's Tony Tull has the latest. Grrrrr have gone from early for work to gonna be late thanks to @wmata rush hour track work. Great planning folks. For many who decided to stay on the tracks, the Green Line proved to be another solution. "This is one of the few places on the system where we actually have a rail line that can serve as an alternate for the disruption here, so many customers upon arriving at Fort Totten this morning simply went downstairs and transferred to the Green Line..." said Metro spokeperson Dan Stessel. Even though the problem has been fixed, that same area will be closed for the weekend for track work. Beginning at 10 p.m. Friday, buses will replace trains between the Forest Glen and Rhode Island Avenue stations. 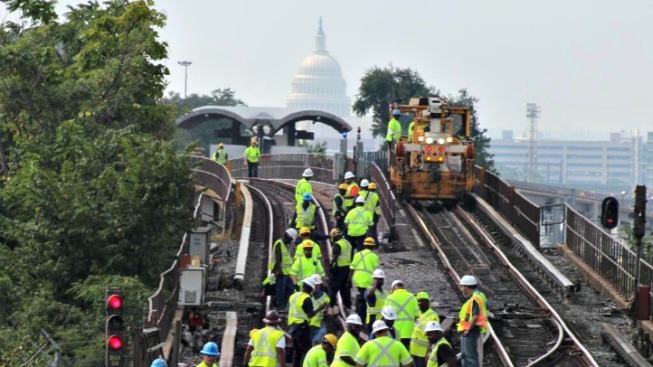 The Silver Spring, Takoma and Brookland stations will be closed until Tuesday, Sept. 3.